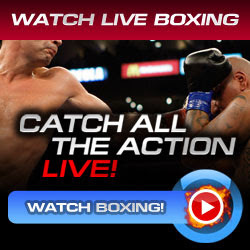 Jose Benavidez, the knockout artist in the light welterweight division defeated Corey Alarcon via a 4th round Technical Knockout victory in their six rounds bout. Jose Benavidez did a good job by landind a great body shot and a right-left hook combinations. He was a young sensational boxer and keeps going better in his professional boxing career. Jose Benavidez showed his some power in the fourth round by knocking Corey Alarcon down two times. The final knockdown totally hurt Corey Alarcon and Benavidez followed up a punch which the referee decided to stop the fight. Corey Alarcon was a fighter in the welterweight division and he was not able to won his two previous fight (Serrano and Bennett) before he take a shot against Jose Benavidez. Corey Alarcon has 14 wins - 18 loss - 1 draw & 4 knockouts victory. He fought the best fighter in his division like Julio Cesar Chavez Jr. and Victor Ortiz. Jose Benavidez has an improved record of 12 wins - no loss - no draws & 11 wins came from a knockout victories. He is a rising star in boxing, train by Freddie Roach and a knockout sensational artist.